First, in the way of a preface, I have greatly enjoyed following my interlocutor on twitter and blog. [*blush* –Ed.] Those working on the film found especially helpful the wealth of research and insight on the websites devoted to Jane Austen and to the Georgian and Regency eras. 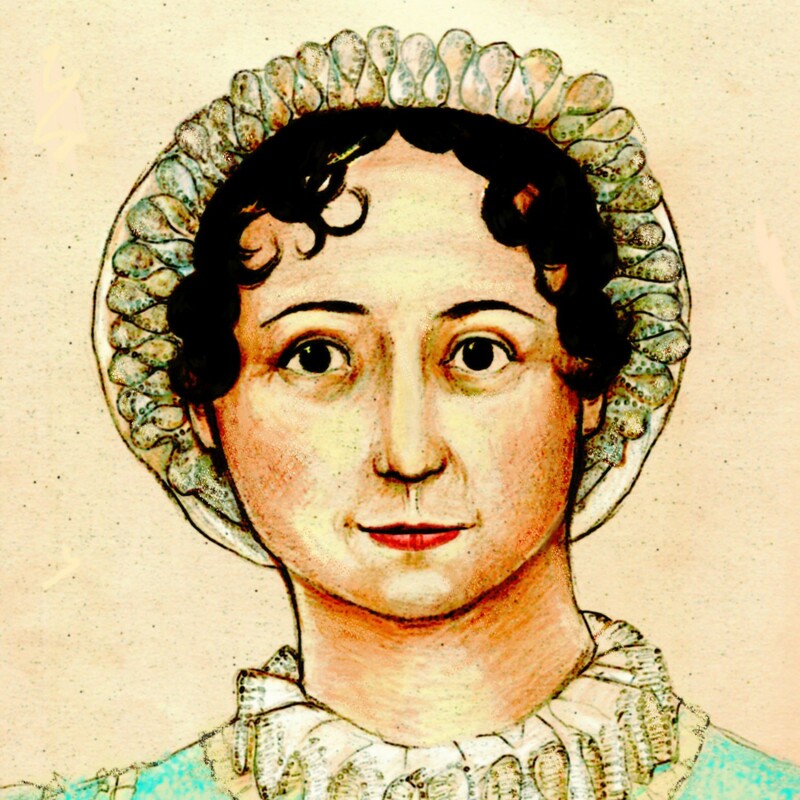 When did you first encounter the Spinster Authoress’, er, Jane Austen’s work? In the depressed midwinter of my sophomore year in college I picked up a copy of Northanger Abbey and did not appreciate it at all, not then being familiar with Mrs. Radcliffe’s novels or those of her followers (the gothic novelists). [We would be delighted to acquaint you with the perfection that is Henry Tilney. –Ed.] For a time thereafter I was vociferously, foolishly anti-Austen. Then some years later my sister suggested I read Sense and Sensibility and Pride and Prejudice and I became a passionate convert. Which is your favorite of her works, and why? The three I most admire, or have the most affection, are Persuasion, Mansfield Park and Pride and Prejudice. Persuasion must be one of the wisest great novels written. Mansfield Park is profoundly moral, insightful and moving; courageous in the strong positions Austen takes. Pride and Prejudice is a perfect and delightful work. Why did you choose Lady Susan to, firstly, adapt for the screen, and then turn into an alternate history? It feels in retrospect that the material did the choosing. At the time I had a “serious,” a “major” Jane Austen project that was favored; Lady Susan was the intriguing improbability. I worried that it was perhaps not “marriageable” as a movie. The parallel that encouraged me was the success of the Oscar Wilde film adaptations; I always thought there was something Wildean in Lady Susan. Once in the fictional world of a movie, I want to do more with, take the story further. Little Brown liked the script and thought it would be a good novel, turning the epistolary Lady Susaninto a dramatized novel such as Austen’s other books, the idea always being that in our version Lady Susan Vernon would be “vindicated.” The publishers wanted the novel draft turned in well before the shoot start date but I blew through deadline after deadline and am glad I did, because only in making the film did I discover the marvelous, ridiculous Martin family which provides the novel’s crucial narrator: Rufus Martin-Colonna. Why did you feel that the film required a novelization–as separate from the Work originally produced by Miss Austen? Probably no book is ever required. I find the hard and almost interminable part of writing coming up with a fictional environment which seems coherent and in which interesting characters are operating seemingly on their own. Once that environment has been created I want to do more with it. I have twice gotten lucky with this notion: once with the novel derived from The Last Days of Disco but particularly with Rufus in this case. He reminds me of a sort of foolish Peter Sellers character who could go on and on; but fortunately his narrative is quite brief and is supplemented with the full, annotated text of Miss Austen’s novel. That’s reassuring. In the Austen adaptations there is too often too little of what makes Austen great; those responsible seem to misunderstand her great strengths. What are your hopes in that direction, meaning acceptance by the Janeites, for the novelization? Tell us why we should rush out and purchase and read it. Heavens, no rushing! I do recommend the novel because by some miracle or alchemy it has, despite the absurdity of the idea and everything being against it, turned out to be quite, maybe very, funny. [Agreed. –Ed.] Furthermore, as mentioned, it does include the full text of the Austen original in a very attractive form, along with Rufus’ devastating commentary. Trade secret. “Loose lips sink ships” — as well as film projects. We were both amused and informed by the many footnotes included in this volume. Usually such footnotes would be written by an editor *cough* but it seems as though they were written by Mr. Martin-Colonna. Why do you think he found it necessary to indulge himself in so many personal asides and defensive explanations of the behavior of many characters? Well, as Rufus himself cites in his account’s opening, the precedent is Prince Henry the Navigator, heroic initiator of the Age of Discovery, whose not “uncommon motive” was: “A man sees something that ought to be done, knows of no one that will do it but himself, and so is driven to the enterprise… ” Strangely Jane Austen’s nephew, in his memoir of his aunt, makes exactly the same observation. Quite a coincidence! We wonder if Mr. Stillman has encountered Lord Brabourne’s edition of Miss Austen’s Letters, as we think he also indulges in many asides, personal references, and what some might describe as self-aggrandizement, even while providing a valuable piece of work. We think Lord B. and Mr. Martin-Colonna would have gotten on well, at least until Mr. Martin-Colonna inevitably asked Lord B. for either a loan or some sort of preferment at Court. No, I have not, but I do intend to search out an internet edition of her letters to comb the text for any reference to this work. I believe Austen left it untitled; there is no title on the manuscript but the cover the composition notebook in which she copied it had been removed and lost. I understand that Northanger Abbey was originally titled Susan— so I believe that the Lady Susan Vernon novel never had the title her nephew put on it when he finally included it with the second edition of his memoir. Do you have any information to give us about the possibility of a DVD of L&F? Release date, extras, anything really. Some time in the early fall I believe. How much fun did you have writing this book? Because it really is a lot of fun to read! It turns out that there is a deep vein of humor in the men of Sir James Martin’s family — of which they seem blissfully unaware. It was a blast. Do you care to share with our Gentle Readers any future projects planned, Austen-related or otherwise, film or page or other? I am returning to writing the episode scripts for what I hope will be the first season of the Europe-set, Amazon Studios-backed, series The Cosmopolitans. I should add that I myself am an unconditional admirer of both the Spinster Authoress and of Jane Austen. Rufus Martin-Colonna’s aspersions are ridiculously untrue, in part. Disclaimer: We received an electronic copy of the novel via NetGalley to read before the interview. I think you probably mean Italian. the Colonna is a very important noble Italian family, it is not Spanish, unlike the Borgias (originally Borjas). It was until I read Professor Looser’s interview that I became aware of the Corsican connection. Still intrigued about the Colonna surname (there were many notable members in the Renaissance and that was the reference I had), I think I found out why Tony presumed a Spanish connection. Don Juan, or at least the person who some believe was the mythic Don Juan, was descendant of a member of a Spanish branch of the Italian (from Rome to be precise) family. The Corsican families are also branches of the old Italian one. The spliting of the Corsican and Roman branches goes back as far as the 9th Century, from the count Hugo Colonna, conqueror of Corsica. There is always something “new” to discover and learn :-). Love this post!!! I agree with the comment above. Kate Beckinsale WAS brilliant in Love & Friendship and so was Tom Bennett as Sir James Martin!! I hope Mr Stillman gives us more Austen adventures in the future! I bought his book and I am looking forward to a fun filled afternoon with Lady Susan, Sir James Martin and Rufus Martin-Colonna! Thanks to both Mags and Mr. Stillman for this interview. It is excellent to have some confirmation regarding DVD, it has been anguishing to think Amazon Prime bought the rights and thus the possibility that there would have been only the streaming option. More so, since those of us abroad depend on the release of a US DVD or Bluray to watch many Austen and period adaptations. As to the speculation about Mr Rufus relationship to Sir James, I think he might be his sister’s son, she married an Italian aristocrat. I don’t buy a lot of DVDs anymore–I tend to purchase digital so there is nothing to store. But for this one, I could be persuaded to get a DVD, depending on the extras. I understand you, but I still keep my Austen collection in physical formats (both books and adaptations) :-), that is why I wish Emma Approved would be available in DVD. Besides, not all titles are available in digital format or for streaming worldwide. For example, iTunes does not sell TV programs and movies in its Latin American stores, nor Netflix offers many Austen or period miniseries in Latin America and there’s not even Amazon Video service in that region, whereas, I could purchase the DVD through Amazon US and thus finally watch the movie, because there is still not certainty that it will be released in my country. What a great interview!! Really enjoyed learning more about Mr. Martin-Colonna and can’t imagine anyone better than Mags to help create such a diverting and informative exchange! Well done! Thanks, Meredith! It was a fun book and called for having some fun with it. Really enjoyed this interview. So glad to hear about the dvd because the film hasn’t come to any cinema near me here in Ireland. And I was so excited to see it.